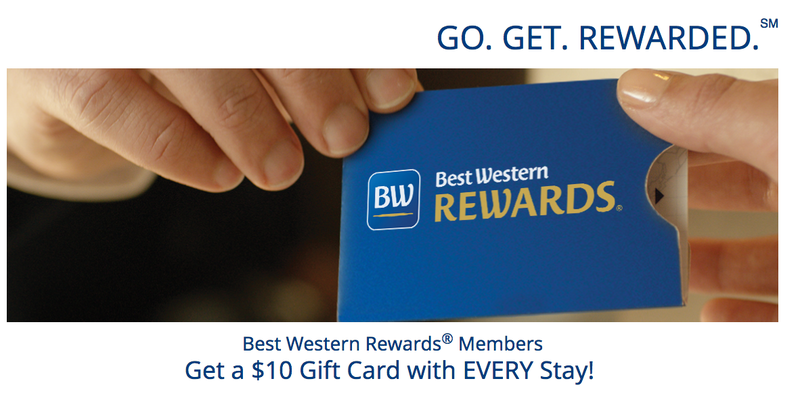 Best Western Rewards has extended their systemwide promotion where you can earn a $10 Best Western Gift Card with every BW stay. Not a bad deal considering there are lots of BW hotels that can be booked for under $100 meaning you can pull a 10% or higher return. Now you only have 120 days to use up that gift card after it being issued so not a lot of time to make use of it especially if you don’t stay at Best Western very often.